Can't find the perfect dress? Why not design it yourself? We offer women’s custom made clothing. 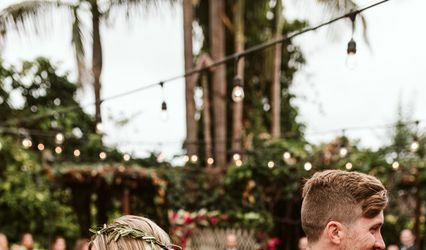 Whether you are looking for a custom wedding dress, Custom Bridesmaids dress, Custom made casual dress or just a custom black cocktail dress. We use only the finest fabric that will ensure the perfect fit. 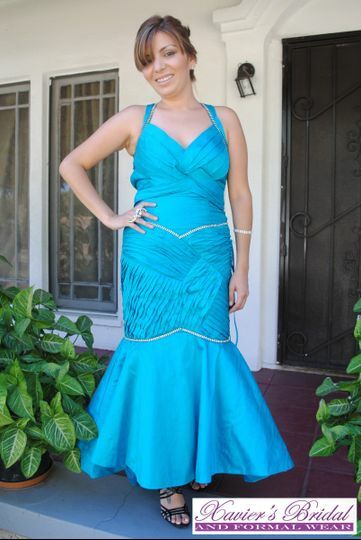 Stop in today or make an appointment to have Xavier’s Bridal and Formal Wear make your own custom dress. Make sure to add some time when you visit us at Xavier's Bridal and Formal Wear to look through our varied accessory selection. Your satisfaction is the highest priority at Xavier’s Bridal and Formal Wear. 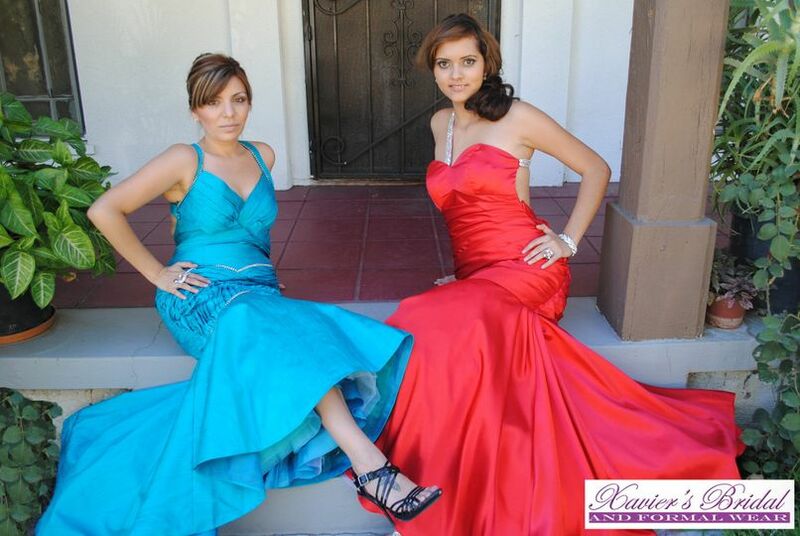 We specialize in in all formal attire as well as accessories for formal events such as: weddings, quinceneras, proms, and many more. Our services include but are not limited to costume made: gowns, veils, bridesmaid dresses, flower-girl dresses, mother of the bride gowns, costumed sashes, and costumed headpieces. We also have a wide selection of tuxedo rentals from varied designers such as Ralph Lauren, Oscar de la Renta, And After Six. Xavier’s Bridal and Formal Wear is proud of their experienced, skilled and professional tailoring work. We can guide you on how a garment should properly fit your body. Too loose, too long, or too tight, no problem, Xavier’s Bridal and Formal Wear can help. 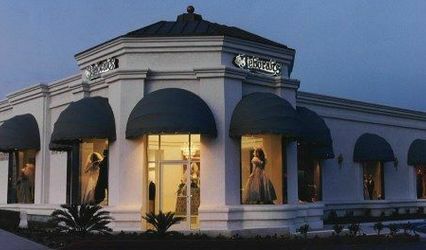 Xavier’s Bridal is an amazing place to get your special occasion custom dress made. I had my wedding dress made as well as my bridesmaids’ dresses. My wedding dress was a Vera Wang inspired by Hilary Duffs Wedding dress and another one that is carried through a David’s Bridal line. It was the perfect dress for my spring wedding. My bridesmaids’ dresses were a red carpet long chiffon dress inspired by Kim Kardashian. I love the flexibility that Xavier’s Bridal offers as far as alterations, colors, length. It really is a great feeling when you receive the attention to detail for your attire and this is what Martha from Xavier’s Bridal offers, nothing but the best quality. As far as my dress I got to see the different stages of it being made seeing it come alive, it was really wonderful. It took about two months for the bridesmaids dress being ready; I applaud them for their dedication and fast turnaround into making a dress. All night we received nothing but great compliments about our dresses. 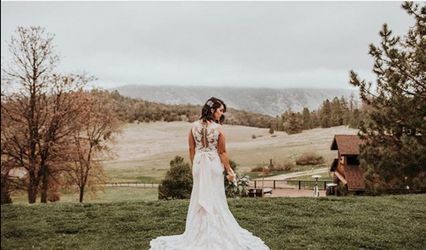 I would highly recommend Xavier’s Bridal over and over again, and it will definitely not be the last I get a dress made here.